This isn't the best picture of what is going on in Ann Arbor right now but I am not going to venture on to the streets. 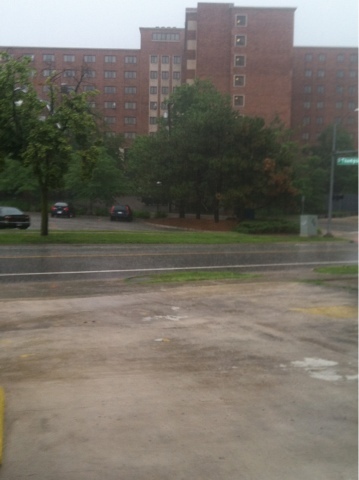 Hoover and state has a geyser exploding water everywhere and the whole south side of campus is flooded. I am pretty sure weather like this is how we lost the unicorns in the first place.